I designed a new infinity scarf over the weekend! The Apple Blossoms Infinity Scarf is reminiscent of spring and the beautiful apple blossoms coming into bloom. The semi-lacy pattern stitch allows this scarf to carry through the seasons – wear it long and lacey for warmer days, doubled up for colder days. The Apple Blossoms Infinity Scarf takes about 250 yds/230m of worsted-weight yarn, so depending on your yarn choice, it could be made with just one skein of yarn. 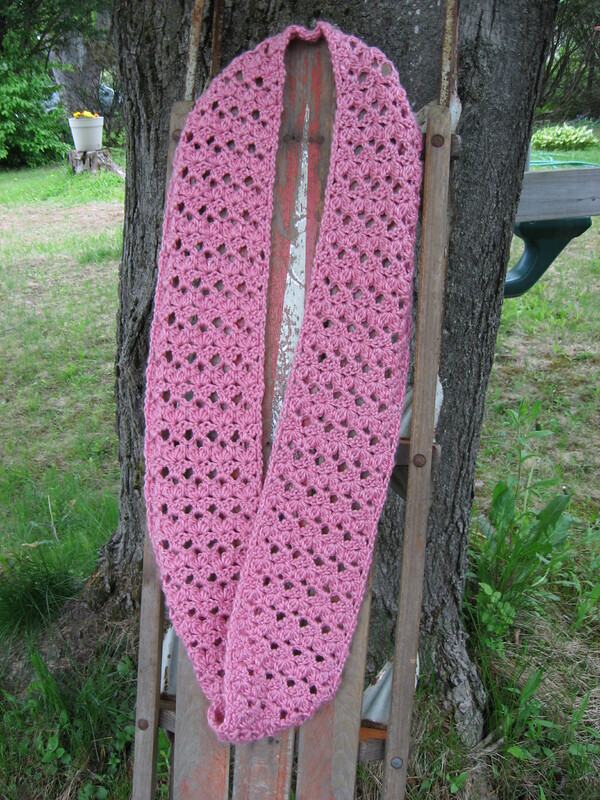 Through the end of the day tomorrow, May 29th, you can get this pattern for free on Ravelry by using the coupon code APPLE BLOSSOM. After 11:59 EST May 29th the pattern will no longer be available for free, but it will still be available for purchase on Ravelry and Craftsy. You can also find all my patterns available for purchase/download on Amazon. 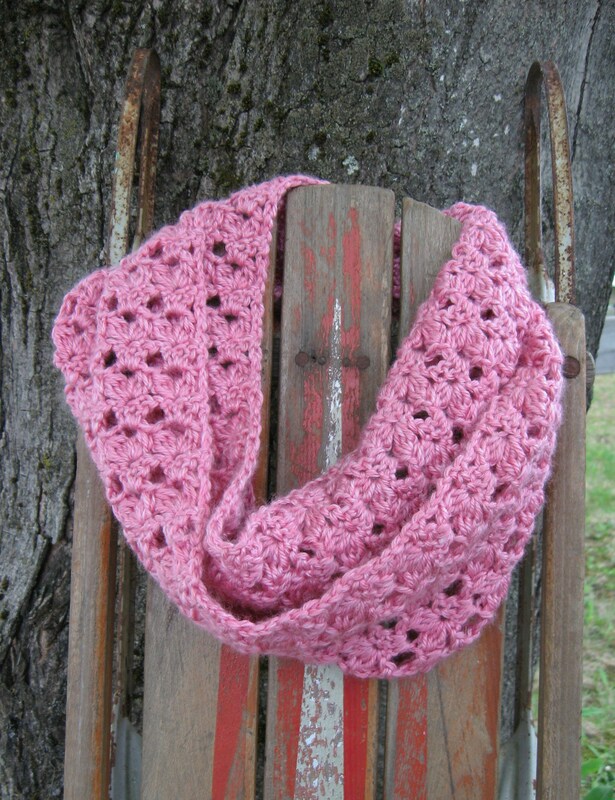 This entry was posted in Crochet and tagged Crochet Infinity Scarf, crochet scarf. Thanks. Appreciate it. Smiles. D– PS 8:46 my time so 9:46 your time, so made it on the 29th.